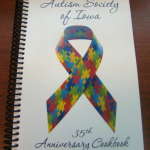 ASI 35th ANNIVERSARY COOKBOOK – A Perfect Gift! 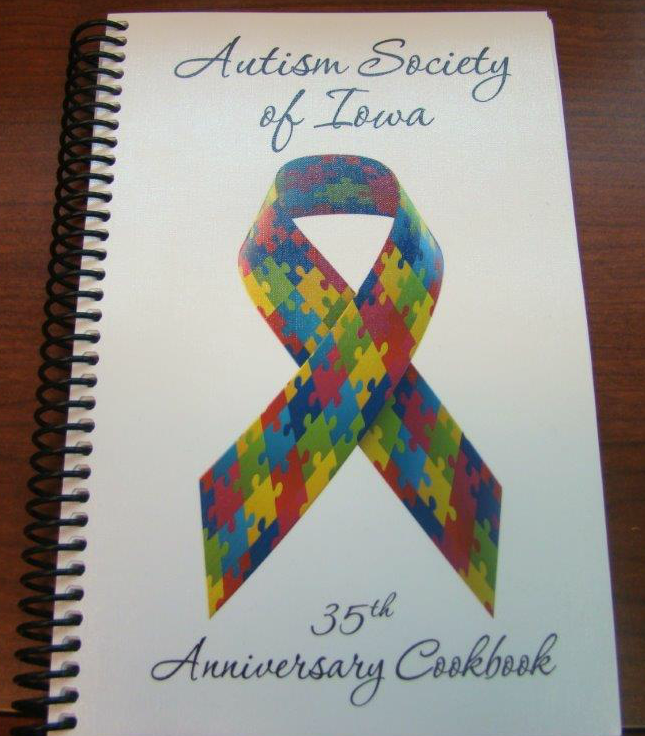 The Autism Society of Iowa has 35th Anniversary Cookbooks available for gifts. This cookbook includes recipes from friends, family and board members of ASI. Please make checks out to ASI and mail to: Glenda Koehn, 19736 Cable Ave., Elgin, IA 52141. Call 1-563-426-5137 or email gkoehn@alpinecom.net to contact Glenda. $10.00 per cookbook and $5.00 for shipping and handling.